I read this article and found it very interesting, thought it might be something for you. 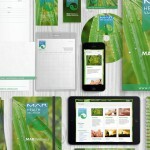 The article is called Stationery Design and is located at https://yamdesign.com/portfolio-item/stationery-design/. Leave a lasting impression on the minds of your clients and customers, it is important to have professionally designed stationary because it acts as an ambassador for your business since it reaches the hands of both existing and prospect clients. A creative and professionally-designed stationary can take your business to new heights of success.